The idea of business leaders gathering together on a regular basis for discussions is not new. In fact, Benjamin Franklin started a group called the Junto (also known as the Leather Apron Club) in 1727, where printers, surveyors, a cabinet maker, and a bartender gathered. Vistage Worldwide offers a modern day spin on Benjamin Franklin’s Junto. They organize and facilitate regular monthly meetings between 12 to 16 CEOs. There are over 800 Vistage groups operating all over the world. 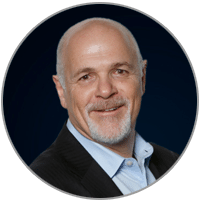 Leon Shapiro is the CEO of Vistage Worldwide. The following Q & A is based on my notes and do not represent his exact words. What is the value of getting feedback from peers? CEOs often have a difficult time receiving unbiased advice. Their executive team may consciously or unconsciously be inclined to give the feedback which they believe the CEO wants to hear. Or, at the very least, the feedback given is biased by company’s culture. Outside professional service providers, like accountants and lawyers, generally don’t want to be too controversial, offering opinions that might offend the CEO and get them fired. A company’s board can provide good feedback, but the dynamics between boards and CEOs make getting true objective advice difficult. CEOs want to appear confident and in-control in front of their boards which make it hard for them to fully share what is on their mind. Peer advisory groups enable CEOs to get unbiased feedback from fellow CEOs and vice-versa, which leads to a healthy and mutually beneficial feedback loop. How do you create an atmosphere in which CEOs are comfortable sharing their problems and concerns? Creating a sense of trust between group members is crucial to the success of peer advisory groups. A sense of trust is created in a few ways. One way is by regularly meeting with the same people. As members get to know each other, the level of trust increases. This is particularly true when there is a formal policy of privacy and confidentiality which the group has committed to and accepted. Meeting structure also has a significant effect on the atmosphere. The key is to have a formal structure in place that promotes equality and clarity. 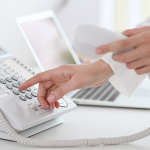 Ideally, each person should present one key issue which they would like to get advice. This leaves time for everyone else instead of the meeting becoming all about one CEO and their specific issues. After each initial presentation, there should be a period for clarifying questions. In other words, a space for fellow executives to ask questions to make sure they understand the issue and what type of advice their fellow is seeking. CEOs, like any rational human, fear that they will be misunderstood. By having a clarifying question period before actual advice is shared, there is a much greater chance the advice will be on-topic, helpful, and to-the-point. Lastly, don’t confuse comfort with safety. These meetings are not about being comfortable, they are about getting honest advice, much of which may be challenging. The important thing is to create an atmosphere where CEOs can feel safe and supported discussing issues that make them feel uncomfortable. That is where the Chair of the group plays a pivotal role. They meet with group members once per month on an individual basis. During that meeting, they can have in-depth conversations and get a sense of the “real” issues each CEO is struggling with. This background knowledge can be helpful in guiding discussion and prompting CEOs to share more. Are you a member of Vistage group? Yes, I joined a Vistage group and have gotten very useful feedback. My group allowed me to see that I was not providing enough leadership for the Vistage community of employees, Chairs, and members. In focusing on execution and achieving milestones, I had neglected sharing and communicating my vision for where the company was heading. Leon was named CEO of Vistage effective March 31, 2013. He is also a Director at The Advisory Board Company (NASDAQ: ABCO). Between 2007 and 2011, Leon served as Senior Vice President, Strategy and Operations, at Warner Music Group. From 2005 to 2006, he served as Group President of The NPD Group, Inc., a global provider of consumer and retail information, where he led all of their entertainment and technology related businesses. 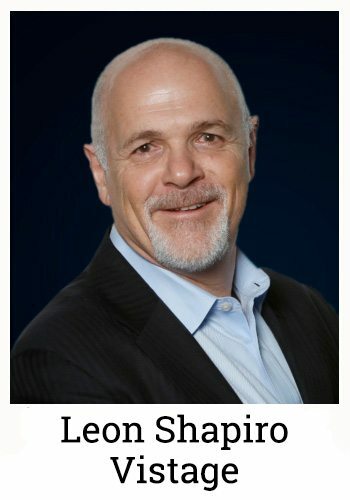 From 1989 to 2004, Leon was with Gartner, Inc., the leading provider of research and analysis on the global information technology industry, where he served as President, Gartner Executive Programs and was a member of the Gartner Leadership Team. Previously, Leon was Senior Vice President and General Manager of Gartner Community, which included Gartner’s Worldwide Events, Best Practices and Executive Programs business divisions.